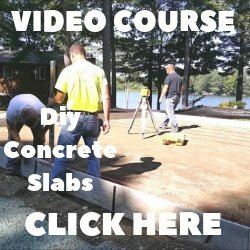 Concrete Cure And Seal - Best uses for this type of concrete sealer. PROS - Concrete cure and seal sealants for concrete floors are film forming, topical, sealers that block penetration of water and contaminants by forming a barrier on the surface of the concrete. The most important reason to use concrete cure & seal sealers is to apply them to fresh concrete, after the finishing process, to help retain moisture and slow down the drying out of the concrete. This along with sawing contraction joints will help reduce shrinkage cracking. Applying a cure and seal for concrete is usually the most inexpensive option compared to other concrete sealing compounds. Cure and seals are generally formulated with a blend of styrene and acrylic polymers and can be either water or solvent based. A concrete cure and seal also gives moderate protection to the concrete surface from the damaging effects of weather, traffic, spills and stains. They are applied in very thin layers, usually 2 - 3 mils thick, which means the protection lasts one to two years under normal use. CONS - Using cure & seals on concrete that have already cured can pose some issues, especially where the sub-grade is damp or on concrete floors where no vapor barrier was used. When a styrene-acrylic cure & seal is used on concrete that has already hydrated and hardened, the curing function is no longer needed. If the moisture level in the concrete is high, or if the slab has no vapor barrier, there is likely to be a internal moisture moving through the slab and evaporating out through its surface. When a concrete cure and seal is present, it will work to prevent this evaporation. Under this evaporative pressure, the adhesion of the cure and seal to the concrete surface will likely fail, causing problems like whitening of the sealer, flaking, blisters, and peeling of the membrane. Using concrete cure & seal sealers on interior, hardened and hydrated, concrete where the moisture level is normally low or on slabs on grade where the moisture vapor transmission (MVT) rate is low is often successful. Where testing shows a high MVT rate, and on exterior concrete in often damp conditions, a PURE acrylic sealer is a better choice. An acrylic sealer has reduced moisture retention ability, which means it is breathable, and less efficient initial curing capabilities, but will perform well as a protective film on the concrete. So, basically if you need a low cost, quick solution to curing a new concrete floor or slab a cure and seal sealer will do the job. If you need to seal an older concrete floor or slab, then using an acrylic concrete sealer would be better. For me and my business, I don't use cure and seal sealers any more. I only use RadonSeal's deep penetrating concrete sealers. I feel this sealer offers the best protection for the longest amount of time. When I install concrete for a customer I don't want the sealer wearing off in 6 months to a year. RadonSeal's sealers last up to 10 years, I feel they are the best sealers your money can buy. You can check them out for yourself and even purchase them if you like. I've been sealing concrete for 30 years, this is the only concrete sealer I use now. 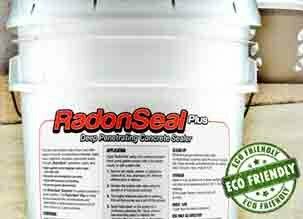 RadonSeal has a deep penetrating concrete sealer. This is what I use the most. Here's a video on how to apply RadonSeal deep penetrating concrete sealer. What is the best place to use an epoxy sealer? What are the Pros and Cons of epoxy and urethane sealers? Can I use a tinted sealer on my floor to add some color? What kind of sealer surface preparation is required for proper adhesion to the concrete? 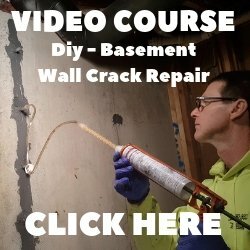 Can I use chemical strippers to remove old sealers from the concrete? Will concrete sealer and condensation cause a sealer look hazy or white? What are these sealer blisters and bubbles that have formed on the surface? Can concrete moisture problems cause a sealer to turn white or peel off? How does sealer react to the concrete surface temperature being too hot or too cold? Are deicing salts and concrete not a good mix? Which sealer applicator is the best one to use? What are the Pros and Cons of concrete penetrating sealers? What are the best types of chemical strippers for removing concrete coatings and sealers.